Vario F, which has 10 way adjustability. The entire lower cushion is adjustable in and out, which really allowed me to find a comfortable set up for my height. 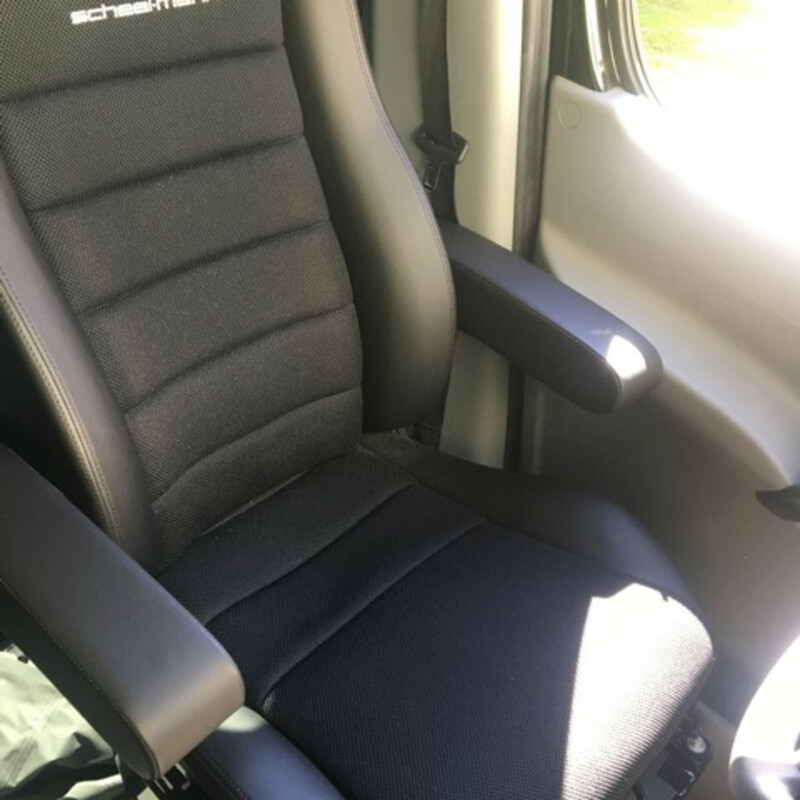 I also had my seats equipped with duel arm rests for each seat, which is crucial for any long distance road trip, rear cargo net for storage, integrated heating for the cooler seasons and perforated cloth on the seat cushion and back cushion for the warmer seasons. 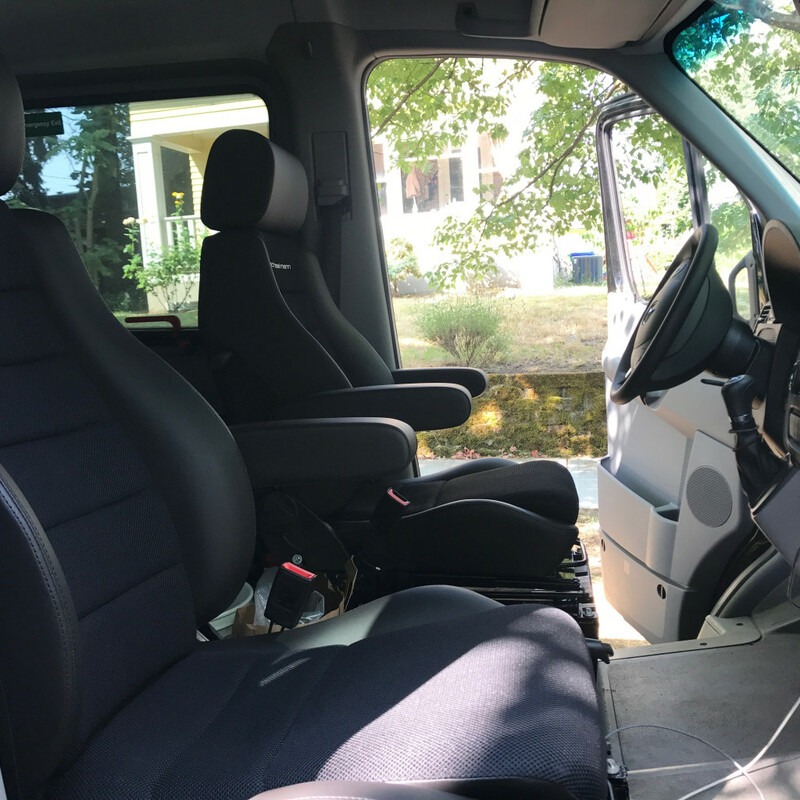 I drove out to the west coast this summer with the stock Sprinter seats, then installed these when I was in Portland. 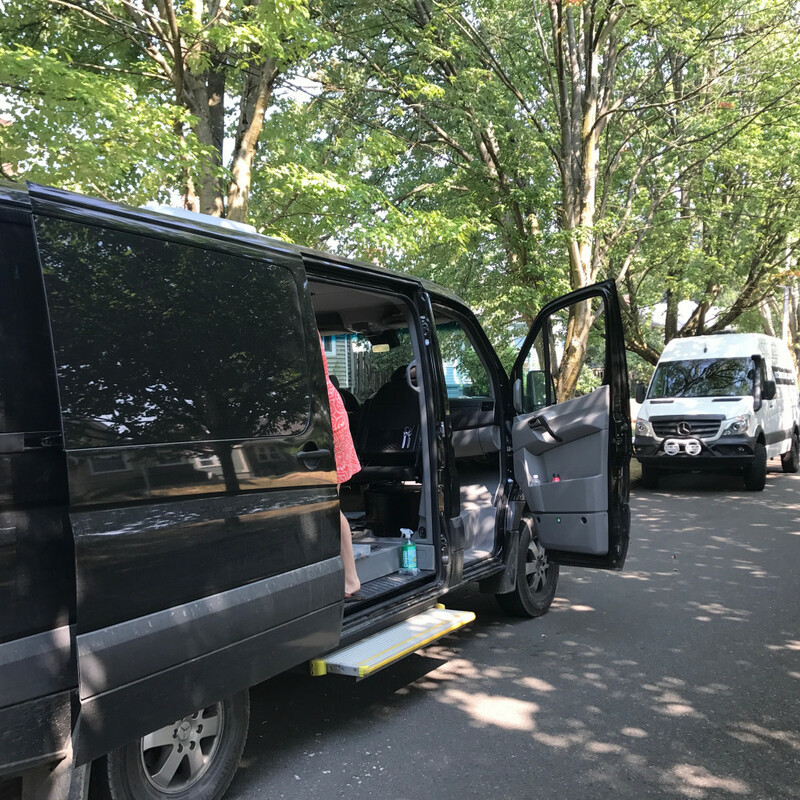 On my meandering route home east, I had multiple 15 hour days in the seats and was completely blown away by the comfort and support that was provided by the finely tuned upper bolsters, lumbar support and lower seat cushion. 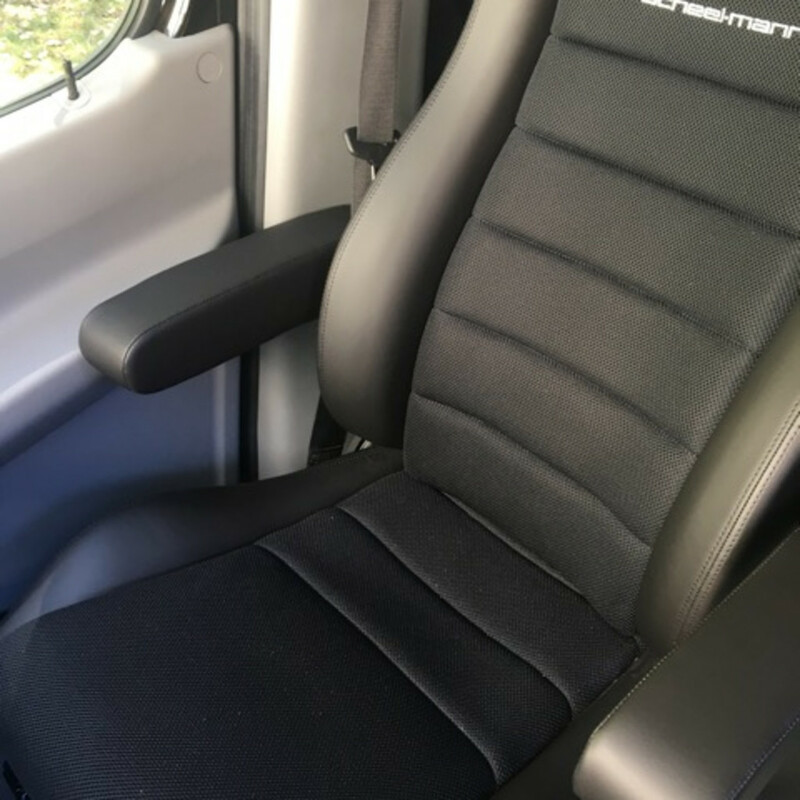 The duel arm rests provided the perfect driving position for my arms, keeping them from fatigue and the perforated back and seat cushions rode so much cooler that my previous leatherette cushions. These seats absolutely exceeded my expectations and I would definitely recommend them to anyone looking to upgrade their current seat situation. Thank you for all of your help.